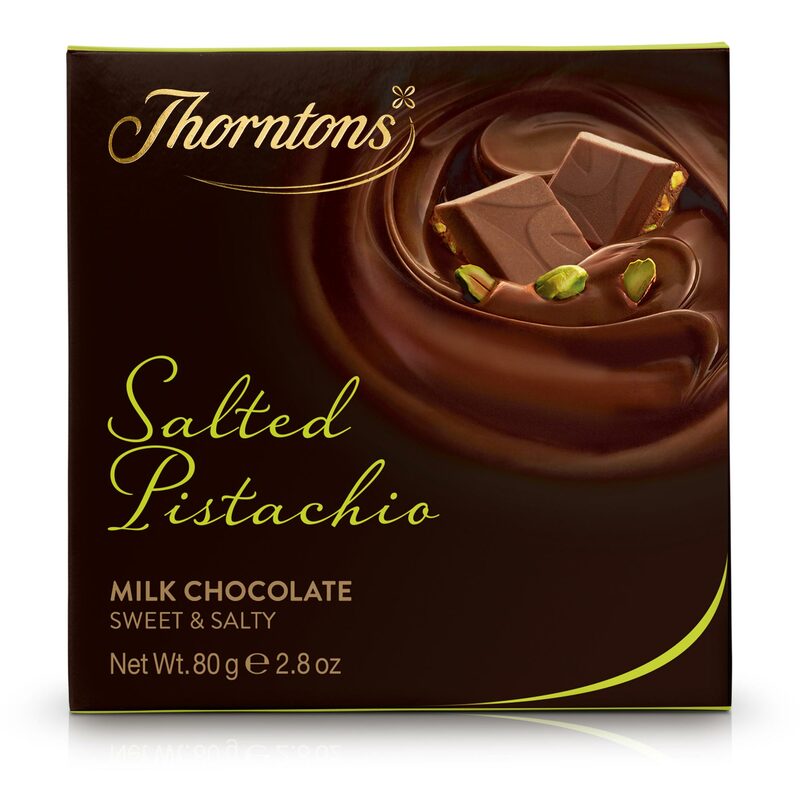 14 melt-in-the-mouth pieces of chocolate form this 80g chocolate block, which is indented with the Thorntons logo. 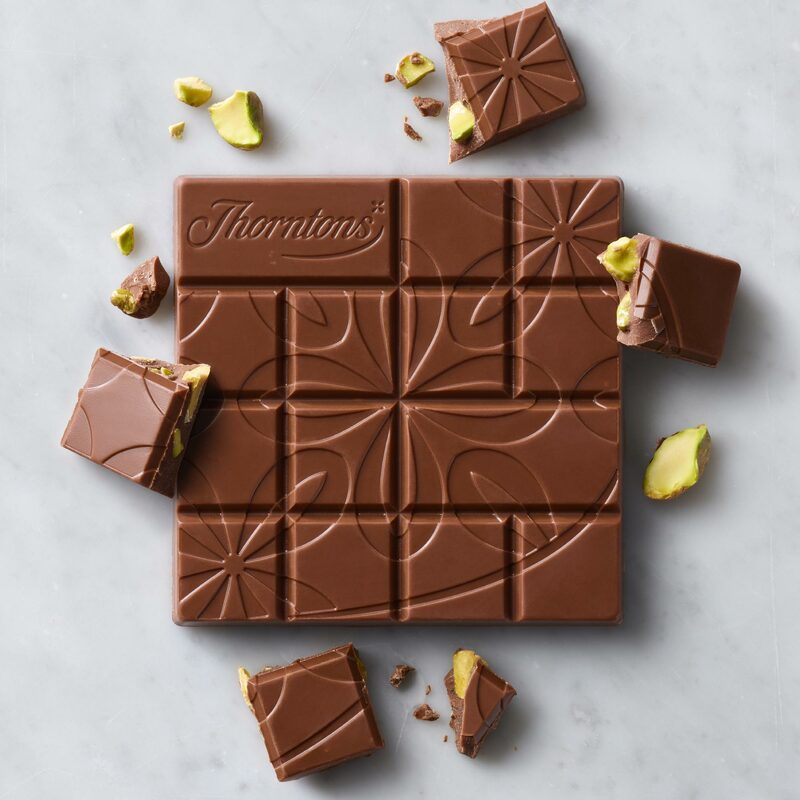 With a vibrant blend of slightly salted pistachio pieces and ripples of smooth milk chocolate, this block creates the perfect balance between silky sweet and subtly savoury. 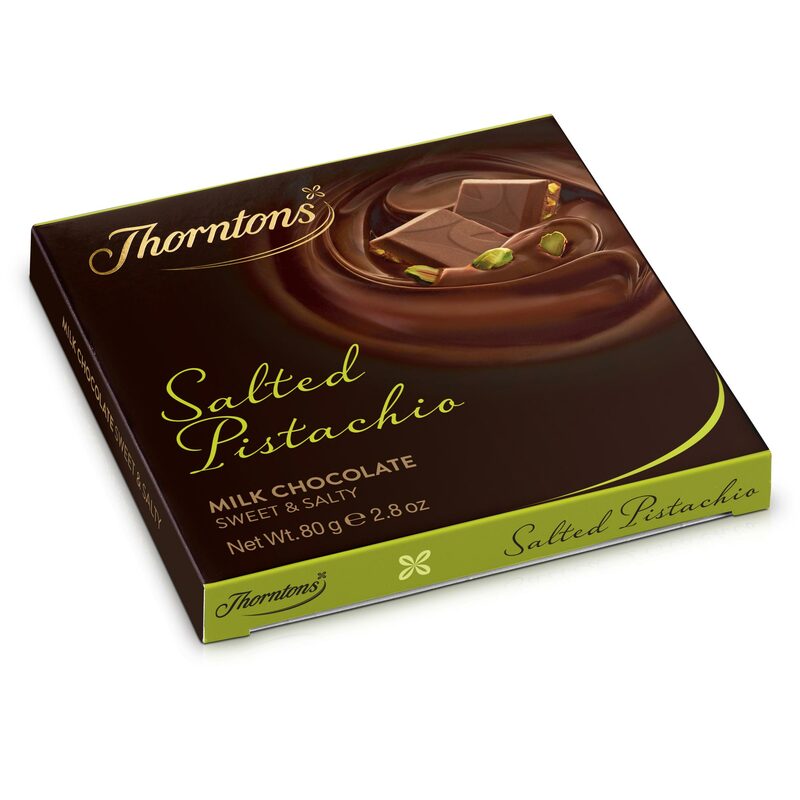 If Salted Pistachio isn’t your thing, we have lots of flavours to choose from so there’s always a chocolate block to suit your taste. 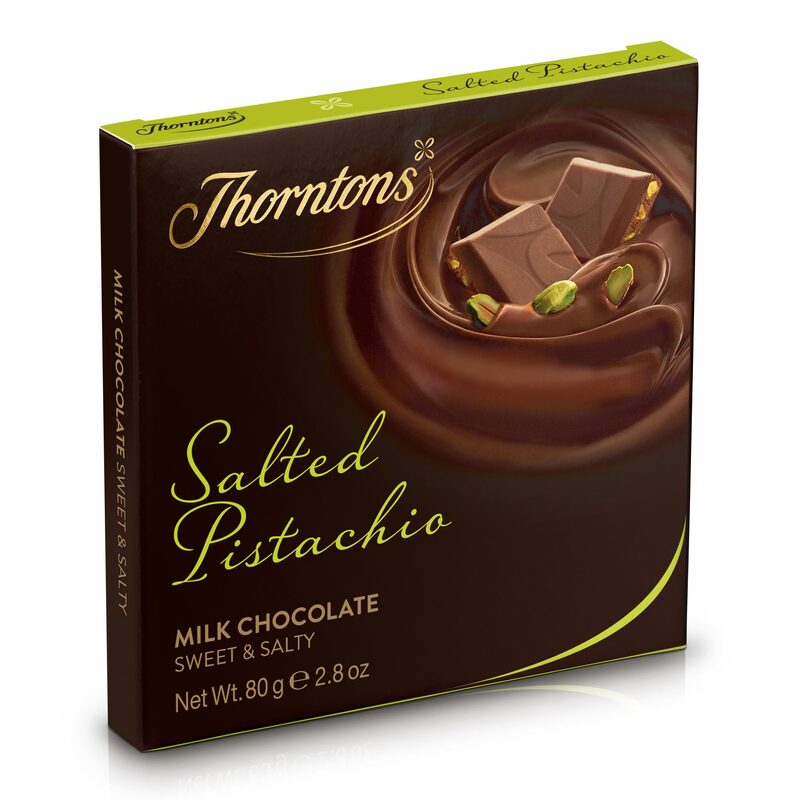 Plus we’ve wrapped our favourites together to create towers - a tantalising treat that’s ideal for gifting or sharing. Why not try golden Honeycomb, rich Coffee & Walnut or zesty Orange Crisp?